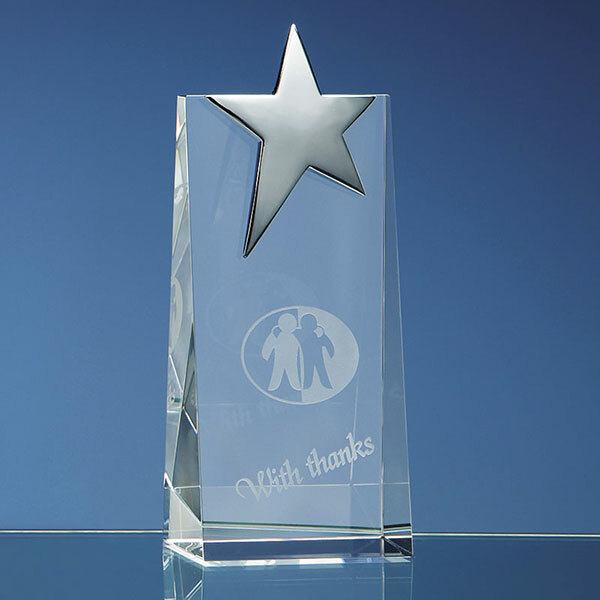 17.5cm tall clear optical crystal wedge with silver plated star at the top of the award. Supplied boxed. 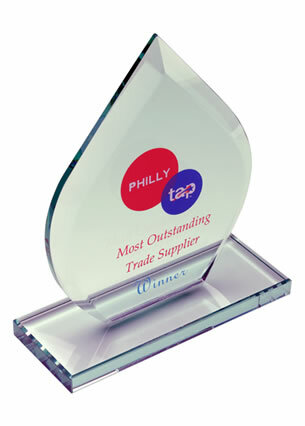 These impressive awards are suitable for a wide range of achievements and presentation events. They feature a freestanding crystal wedge in rectangular shape with a stylish silver plated star inserted towards the top of the award. The rectangle is handcrafted in flawless optical crystal, a medium that refracts light as it passes through thereby creating unique and ever-changing light effects as the award is held. 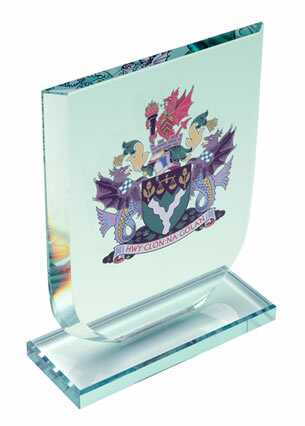 The awards can be customised on the flat front of the rectangle and they are offered here with engraving and colour print options. 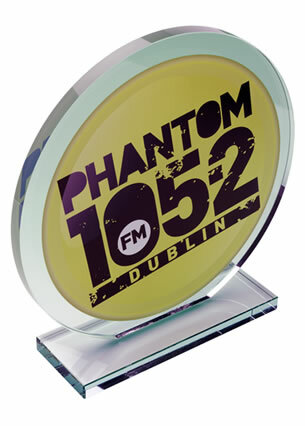 Each award is supplied complete with an attractive foam lined black presentation box.